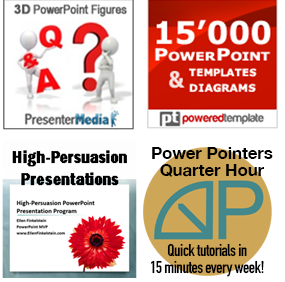 Sales reps can use PowerPoint to create a product catalog that they bring to potential customers. 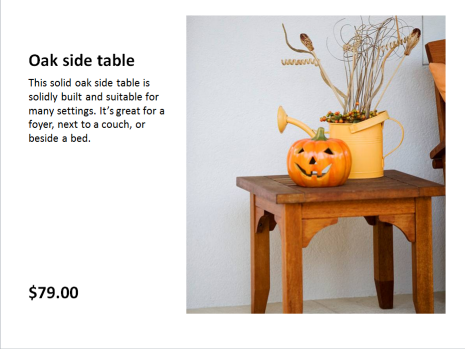 This catalog is easy to modify, even at the last minute. You can change photos, prices, descriptions, and so on. 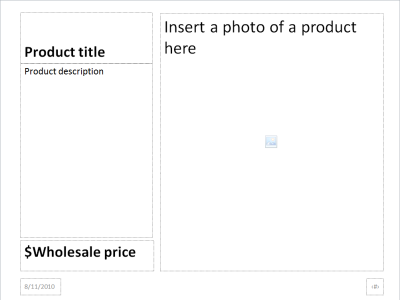 From the point of view of the Sales Manager, PowerPoint product catalogs ensure that the catalog always looks professionally laid out and the content is always up to date. You accomplish this with a custom layout. A custom layout creates a framework to the slide’s layout. You can then insert text in a text placeholder, a photo in an image placeholder, and it will always be formatted nicely and fit properly. 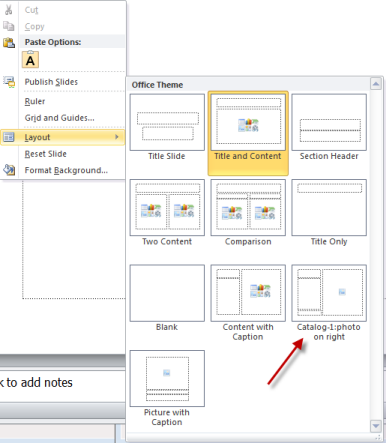 Click the View tab, then click the Slide Master button in the Presentation Views group. The slide master appears. Or simply click the Slide Master button at the lower-right corner of the screen. You see all the layouts in the left pane. Scroll down and right-click the layout that is closest to the one you want. Choose Duplicate Layout. Right-click the duplicate and choose Rename Layout. Give the layout a name that’s meaningful to you. Here you see my example. To delete placeholders that you don’t want, select them and press the Del key. Drag to size and place the placeholder on the slide. I like the clean layout you chose for this template. Invaluable information. This should appeal to real estate agents and any of our other potential customers. Thanks for this.